The 5 lb. bag of jasmine rice sees you, you know. About a week ago, my mom and stepdad sat at Pete’s and my dining room table with earnest looks on their faces. They’d brought a case of empty Ball quart jars and a bag. Mom took a breath, opened a bag I didn’t see before that moment and pulled out a large bag of jasmine rice. Mom: Do you eat rice? Tata: We do eat rice. 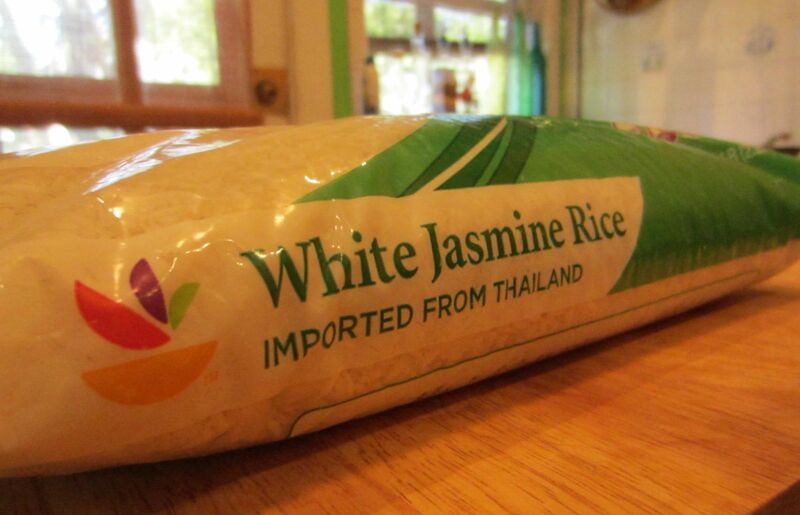 Mom: I bought this rice some time ago because I thought Jasmine rice would be delicious. I should have that. Tata: That sounds good. What happened? Mom: We don’t eat rice. We have it. We just never cook it. Tata: You could just do that, you know. Just put it in a pot and cook that. Mom: We just do not. I stared at her and Tom. They smiled and shook their heads. It is too mysterious for us. Who understands these things? Tata: I will give this bag of rice a good home and a big yard to run around in. Does everyone feel better now? Everyone did. This morning, I was home sick and restless in that way one is when about 60% better but still 40% squirrelly from illness, when I remembered that rice and consulted Dad’s cookbook collection. 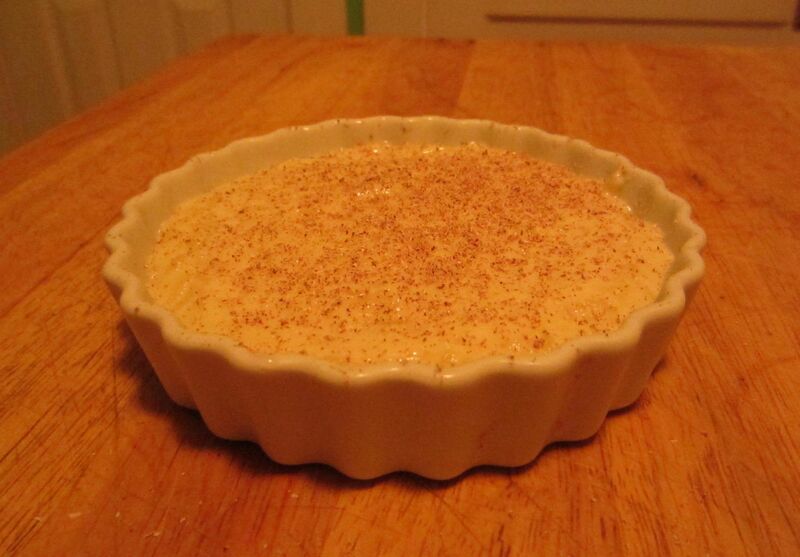 I decided to make rice pudding and maybe actually follow a recipe. Odds were against it, but I thought I’d try. Fortunately, the recipe spoke slowly and used simple gestures even a feverish simpleton could understand. Unfortunately but not at all significantly, I was out of cinnamon and substituted ras el-Hanout. Terrifying in its homey goodness – I mean, eeeeeeeevil. Next week, the kids in our tiny town start school. The first week is often hectic and unnerving. If I make individual rice puddings for my niece and nephews’ breakfasts, it’ll be one thing they don’t have to worry about, with peaches. This entry was posted in compote something and tagged food, jasmine rice. Bookmark the permalink.